The dynamic of the workplace is very different from that of real life! Now you’re not just dealing with individuals on-the-job. You must factor in their positions, prejudices, bosses, and relationships with everyone else in the company. You must also do it in a “second language” through e-mail, texts, chat applications, making presentations and videoconferencing. Encouraging the people you work with to open up and paving the path for them to listen to you is crucial for success. 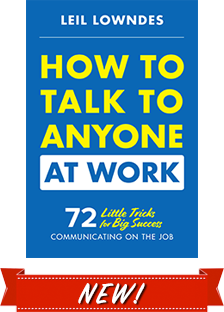 This book gives you 72 techniques to do just that and make you an outstanding communicator at work! 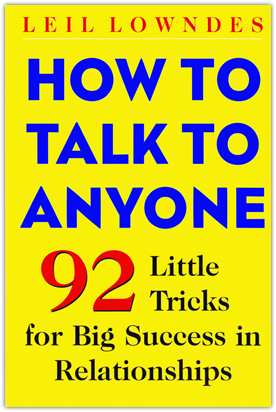 If you’re looking to improve your communication skills, make a better impression and converse comfortably and charismatically with people, I suggest How to Talk to Anyone: 92 Little Tricks for Big Success which has sold more than half a million copies worldwide. 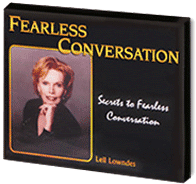 It gives you almost a hundred “Little Tricks” to achieve your goal in person, in front of a group, in e-mail and on the phone. You'll also learn powerful and subtle Little Tricks to get your message across in unique ways that are below your listener’s level of consciousness. 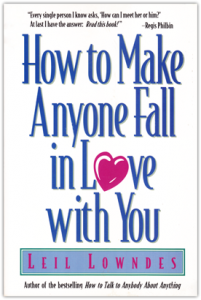 If you want to fulfill the promise of the title and learn How to Make Anyone Fall in Love with You, this is the one for you. Entirely different from the book above, it draws information from sociological, not neurological, research. 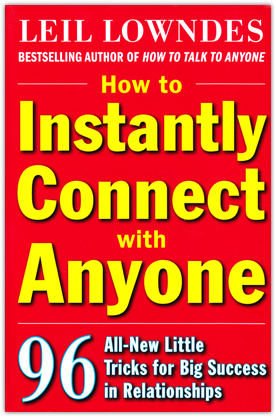 Like How to Create Chemistry with Anyone, all studies referenced in the back of the book. Researchers tracked the whole process of falling in love from “hello” to “I do” in countries around the world. They learned what worked and what didn’t in making someone take the tumble. I share that information in 75 easy “Little Tricks” that that lead to a big success in love. 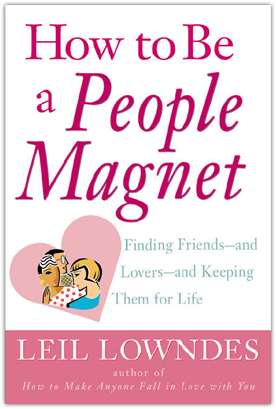 Teens and young adults, if you’re looking to be more popular with friends of both sexes, you’ll find plenty of help in How to Be a People Magnet. As you’re reading, you will be asked to sign off on 55 promises, called “clauses.” Each one of them will make people like you better, respect you more, respond with warmth, and want to be around you. By the time you have incorporated all of them into your life, people will find you irresistible! If you suffer painful shyness, my heart goes out to. And if you want to get rid of it once and for all like I did, Good-bye to Shy is the one for you. Even if you’re not shy, it will boost your confidence higher—and we all need a little help in that department! 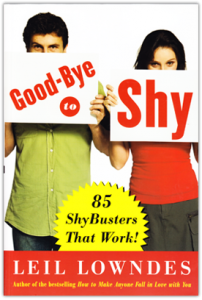 You will benefit from 85 “Shy Busters” that will quickly and progressively bring you to the confident person you deserve to be.